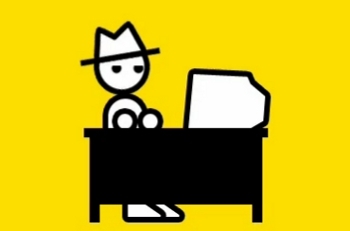 The man behind Zero Punctuation participated in a discussion where anyone on the internet could ask him a question. If you're reading The Escapist, chances are you know who Yahtzee Croshaw is. You might be fan of his work on Zero Punctuation or his first novel Mogworld, but do you actually know anything about the man himself? Well, now's your chance, as Yahtzee recently did an "IAMA" (or "I am a") interview on Reddit where he revealed many secrets and mysteries behind his persona. IAMAs are conducted by a user asking a question, followed by the interviewee answering said question. Pretty simple. True to form, Yahtzee answered dozens of questions with both serious and humorous answers. For example, he reveals some of the process that goes into creating Zero Punctuation on a weekly basis. The history behind the regular use of certain images, such as the expressionless man face and the imp (!) are also divulged, in addition to the basic premise of his second novel. Perhaps most importantly, he tells us what his favorite kind of hat is: a fez worn by a bear. To read it, go here. Yahtzee's replies are highlighted, making it easy to scroll down and search for questions he's answered personally. Any Yahtzee fan will definitely enjoy.